Summer is slowly coming to an end, but on the positive side, late summer brings with it the juiciest, sweetest figs. 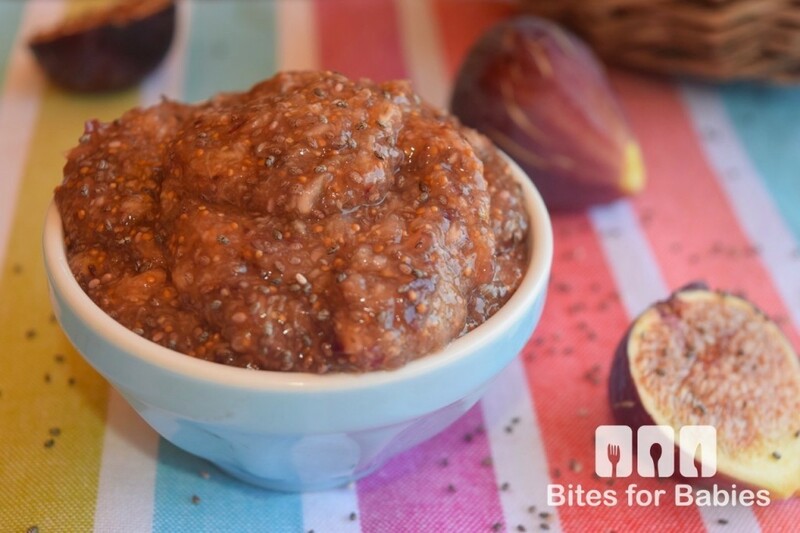 Today I’ll be sharing with you some tips on how to peel and prepare fresh figs, plus a delicious raw and vegan recipe for chia fig jam that the entire family will love! 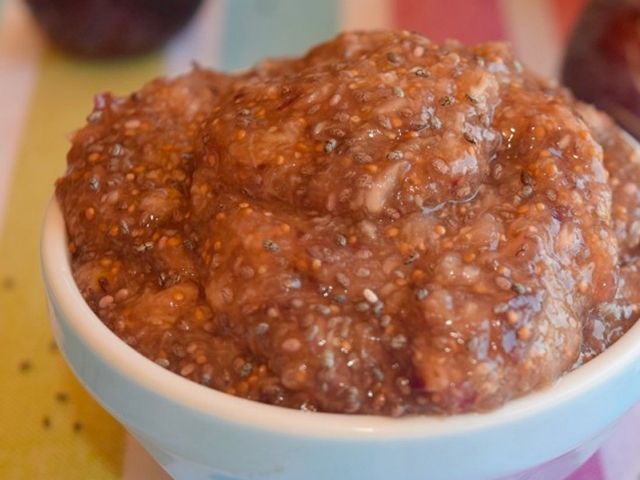 This healthy fig chia jam is a fresher version of traditional jam and tastes just like the inside of a fig newton. It’s quick and easy to make, with only three ingredients: fresh figs, chia seeds, and fresh lemons. It’s vegan, gluten free, dairy free, and nut free and contains no sugar or additives. We love this as is, but if you prefer a sweeter jam you can add some pure maple syrup or raw honey to sweeten it. Chia seed jam is unlike traditional jam in that it doesn’t need to be heated, nor does it rely on pectin to gel. In fact, it’s so easy that it’s foolproof! I’ve made many varieties of chia jam in the past, including blueberry chia jam and have used it in so many recipes, from spreading it on toast or pancakes to using it as a filling in crepes to mixing with yogurt. This fig chia jam is delicious served in the same way; plus, I’ve served it as an appetizer for party guests, spread on crostini and topped with crumbled goat cheese. 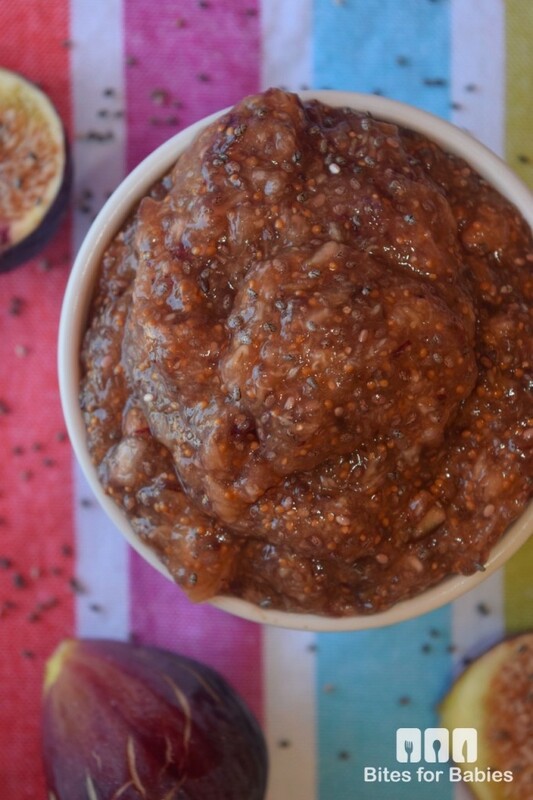 This healthy fig chia jam is a fresher version of traditional jam and tastes just like the inside of a fig newton. fresh lemon juice: 1 Tbsp. fresh lemon zest: ½ Tbsp. Step 2: Let sit in the fridge for at least 1 hour to allow the chia seeds to soak up all the liquid and soften. Step 3: Serve as desired, cold or at room temperature. Step 4: Store in an airtight container in the fridge for up to 2 weeks. For more info and tips on how to buy, store, and peel fresh figs, click here.